For these thousands of years, the trees have born witness to the daily drama of all of the creatures living in their woods. 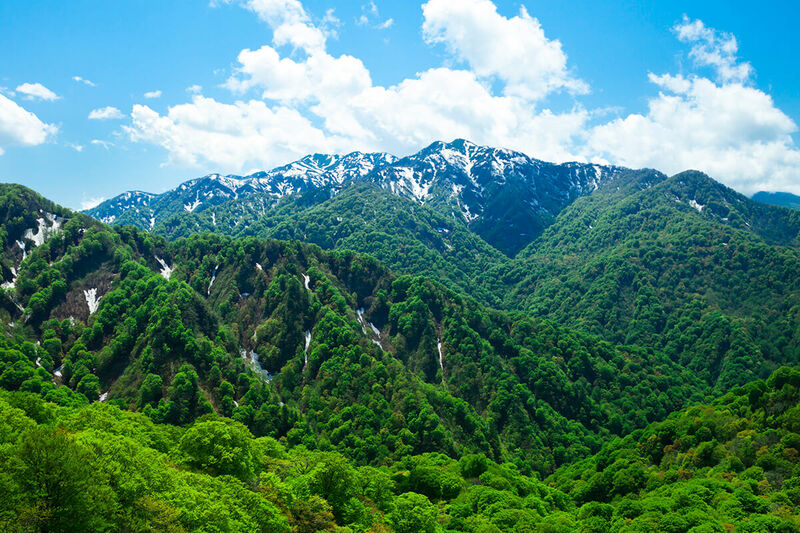 The Shirakami Sanchi is a mountainous region located in the northernmost part of Japan’s main island. 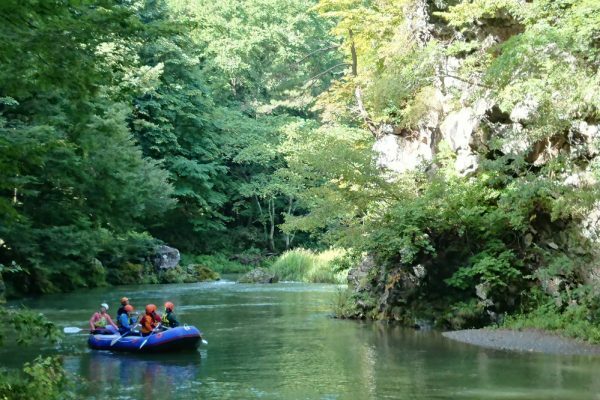 It is an expansive 130,000 hectare area crossing into both Aomori and Akita prefectures. 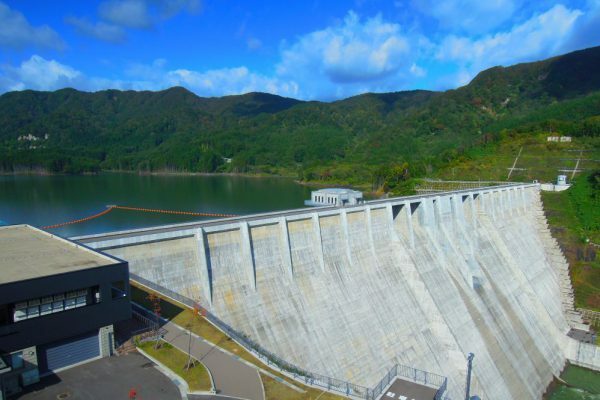 The 16,971 hectare heart of the region was registered in December 1993 as Japan’s very first World Heritage Site, along with Yakushima Island in Kagoshima Prefecture. Artists and performers continue find inspiration in the grand scale and beauty of this vast beech forest. Fans of Studio Ghibli’s animated films can be found around the world. According to the company’s homepage, both the Shirakami Sanchi and Yakushima Island were “major reference locations” for the artists who worked on the feature film Princess Mononoke (July, 1997)*. 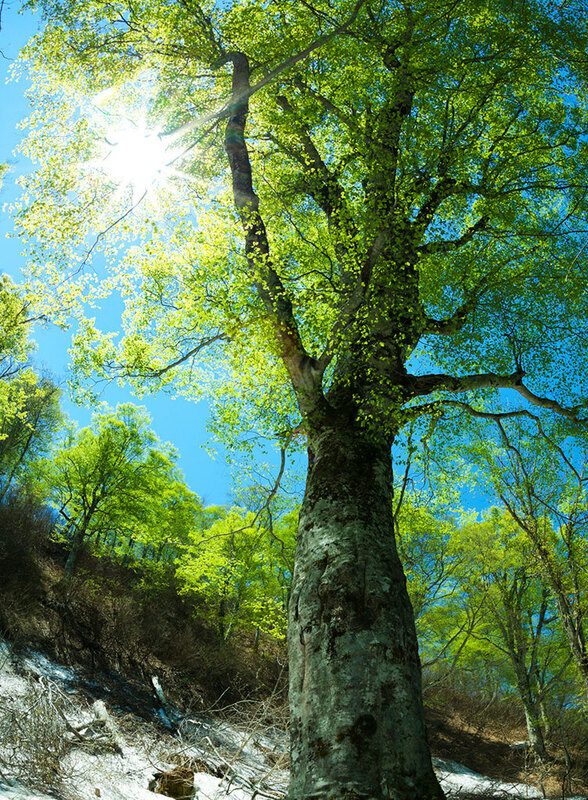 Many of the low-temperature climate beech trees which populated the northern hills and mountains of Japan long ago have disappeared. 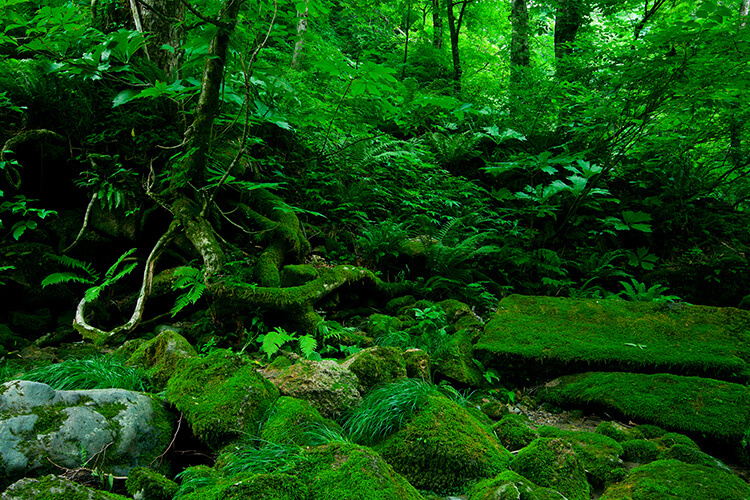 However, because the Shirakami Sanchi located far from any city, and the terrain is full of precipitous cliffs, its trees have mostly been spared destruction by human hands. 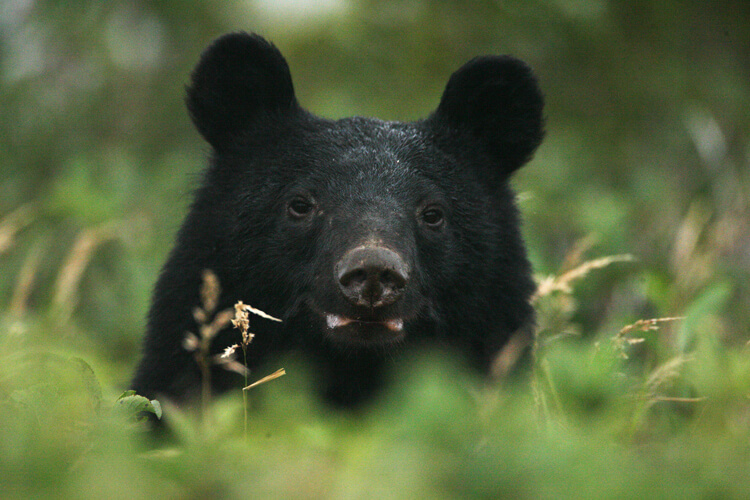 Here, a wide diversity of plants and animals thrive amongst the beech trees, including the Asian Black Bear, the Golden Eagle, and the Black Woodpecker. 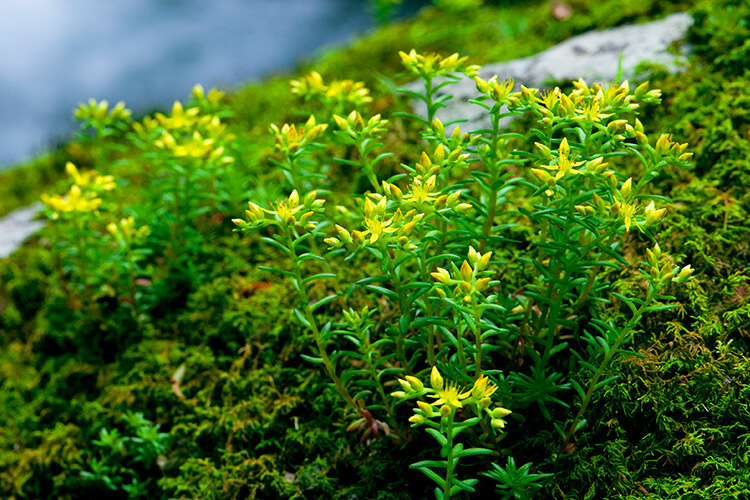 The forest ecosystem created here is abundant, a paradise for many living creatures. It is an extremely valuable natural resource, even from a global perspective. 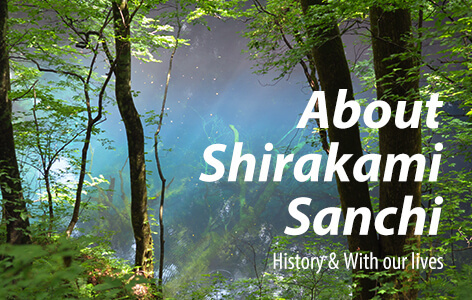 This is why the Shirakami Sanchi was selected as a world natural heritage site. 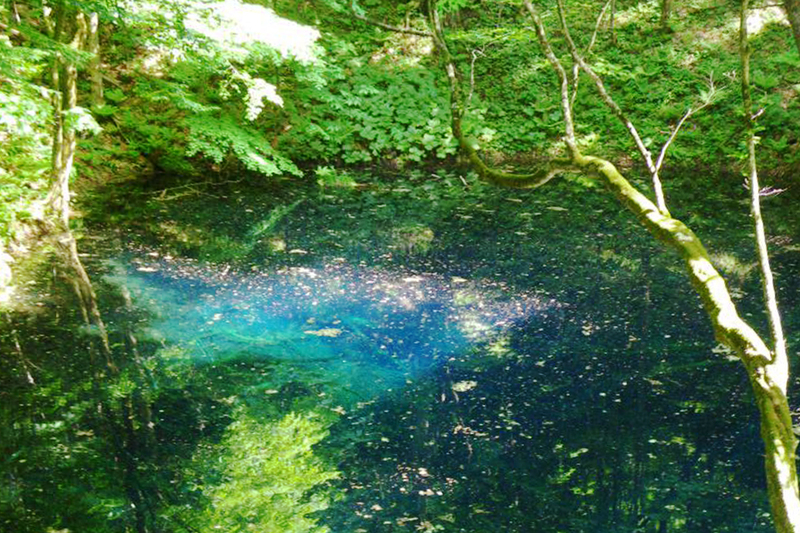 The beech forests of the Shirakami Sanchi began to form some 8000 years ago, at the very beginning of the Jomon Period. The Jomon Period was the first time that people in Japan began living in fixed settlements, perfecting their decorated clay pots and the use of stone tools, resulting in an extended period of stable cultural development. 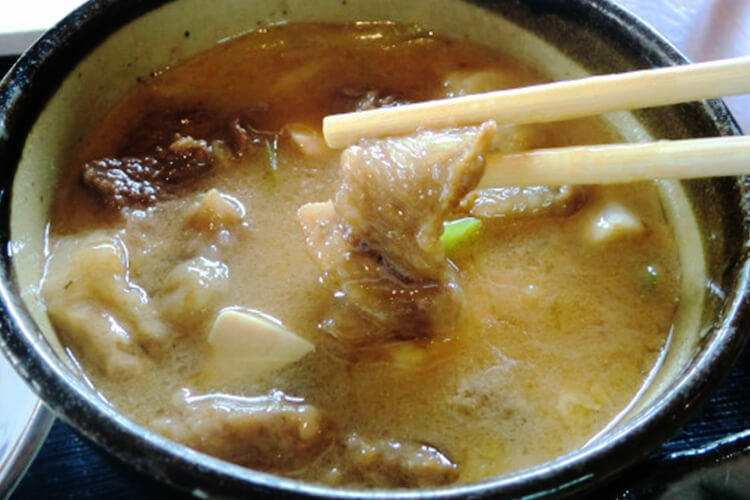 Historians believe that the bounty of the Shirakami Sanchi helped support that civilization. 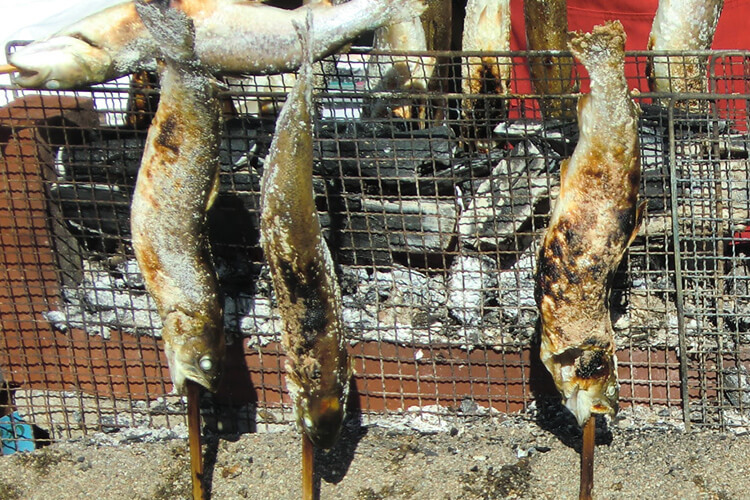 Parts of the Jomon people’s ancient lifestyle and material culture – things like hunting methods, charcoal burning techniques, and culinary arts – are still passed on in the region to this day. For example, in the wintertime some Japanese will dig cellars in the earth to preserve vegetables. This is derived from the experience of the Jomon people, who would keep foodstuffs like berries in storage holes. 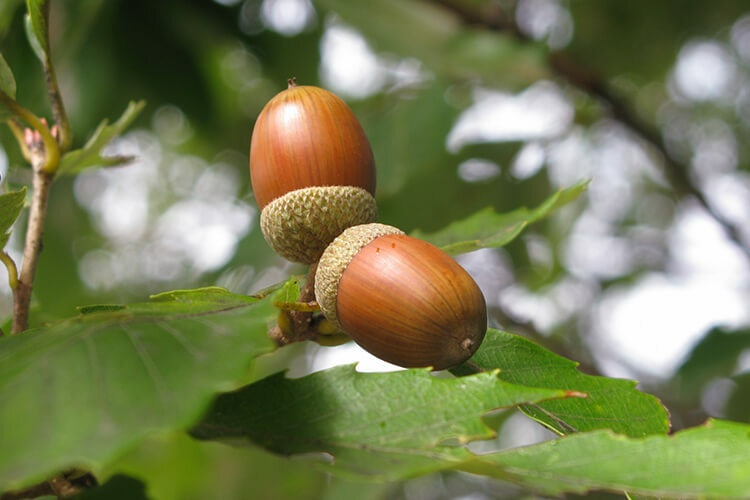 Additionally, the horse chestnuts and acorns which had been eaten until recently needed to be processed to eliminate their astringent flavor. The process involved using charcoal made from burning beech wood, a technique which can be traced all the way back to the Jomon Period. 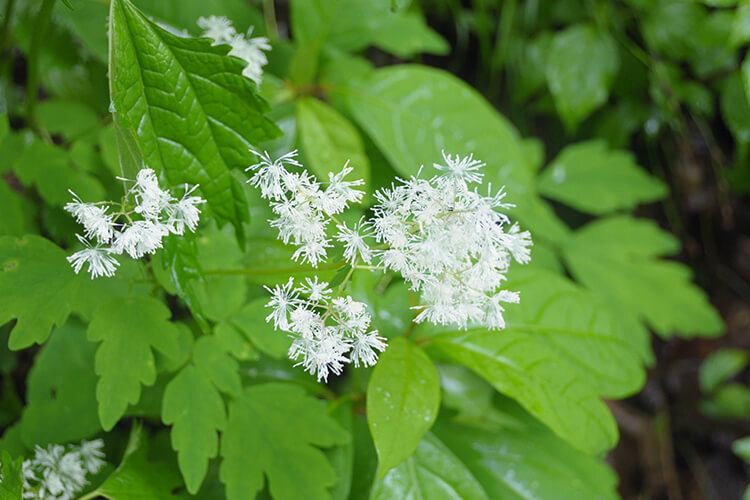 In this way, from the Jomon Period to today, the beech forests have always been a close presence in the Japanese people’s lives, and have long offered up its bounty. 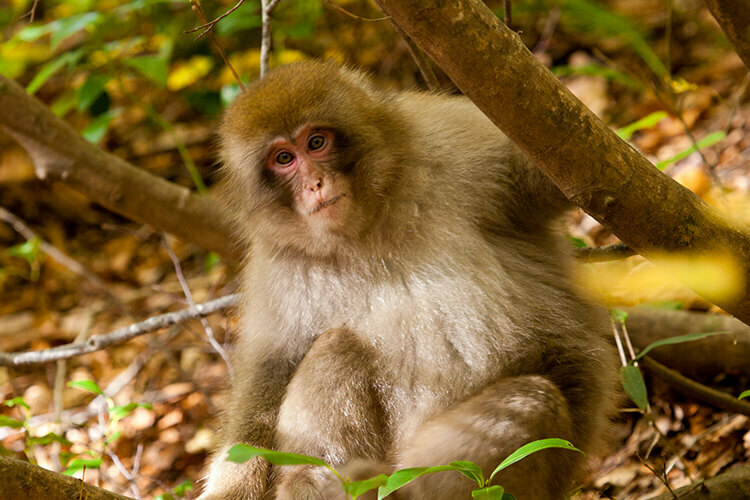 There is a group of “mountain people” who live off the natural offerings of the Shirakami Sanchi. 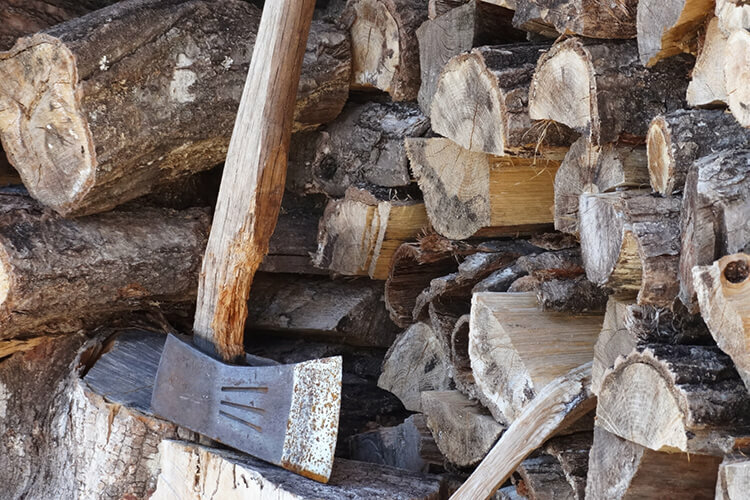 Woodcutters, charcoal burners: the Matagi people. The Matagi make their living by hunting. 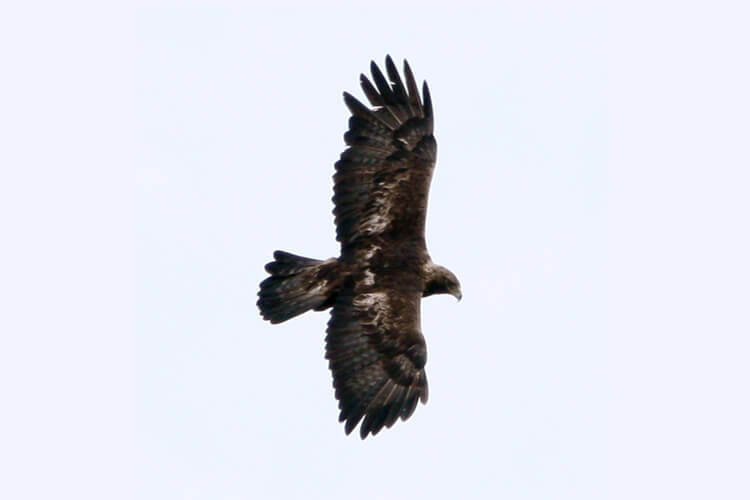 While it is true that they prowl the mountains looking for game, they are not just any ordinary hunters. These people carry on a unique style of traditional hunting using their deep knowledge of the mountains and their creatures, based on their beliefs in the mountain spirits. They treat all of their spoils as “blessings” of the mountain spirits, and dissect game accordingly, such that they use every bit of the animal from fur to offal without letting anything go to waste. Furthermore, when they scavenge plants and mushrooms, they make sure not to deplete the rootstock or damage the underlying ecosystem. Over many generations, the Matagi people have learned how to live in harmony with nature. This is an old saying of the mountain dwellers. They have learned through experience that the beech forest that provides a satchel-full of fruit is really giving a blessing equivalent to gold. They have lived sustainably according to this wisdom since long, long ago. The Matagi live in awe of the mountain, with love and gratitude for it. They continue searching for a harmonic balance between nature and humankind as they weave together a path toward the future. The Matagi way of life holds an important message within: guidance for all of humanity as we consider the future of the planet. The grain of beech wood is so beautiful that it is sometimes called “The Holy Mother of the Woods” in northern Europe. 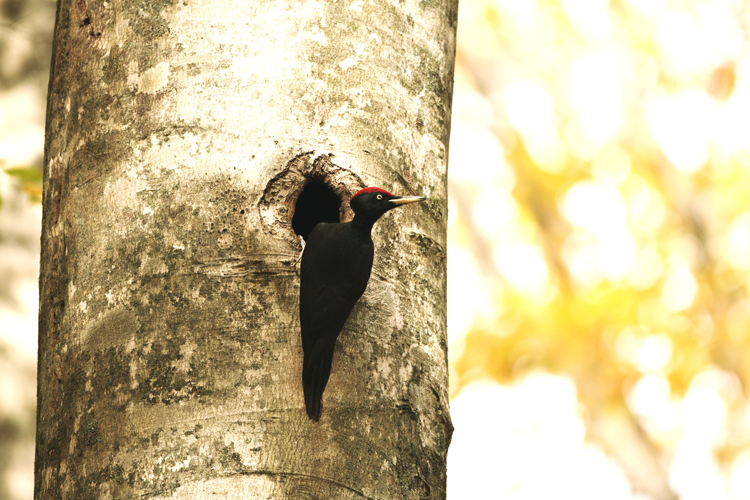 In order to take advantage of Aomori’s vast resource in beech trees – the prefecture contains the greatest number in the country – the Aomori Prefectural Technology Research Center (now: Aomori Prefectural Industrial Technology Research Center) invented BUNACO in 1956. The BUNACO crafting method is popular because it is an ecological technique which produces little waste and can create stylish designs, and has garnered the attention of artists from around the globe. 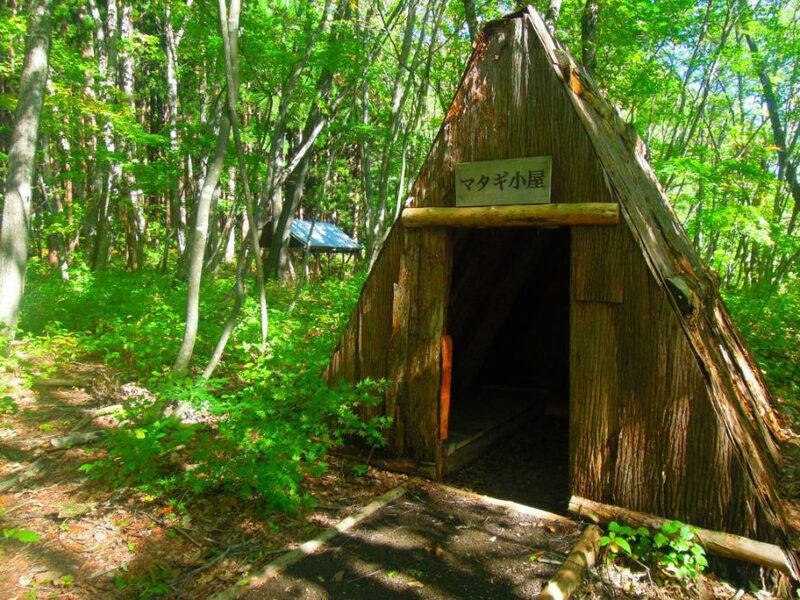 The Shirakami forests provide materials for a variety of other industries as well, including handicrafts made with akebia vines, charcoal crafts, and wild plants used for cooking. 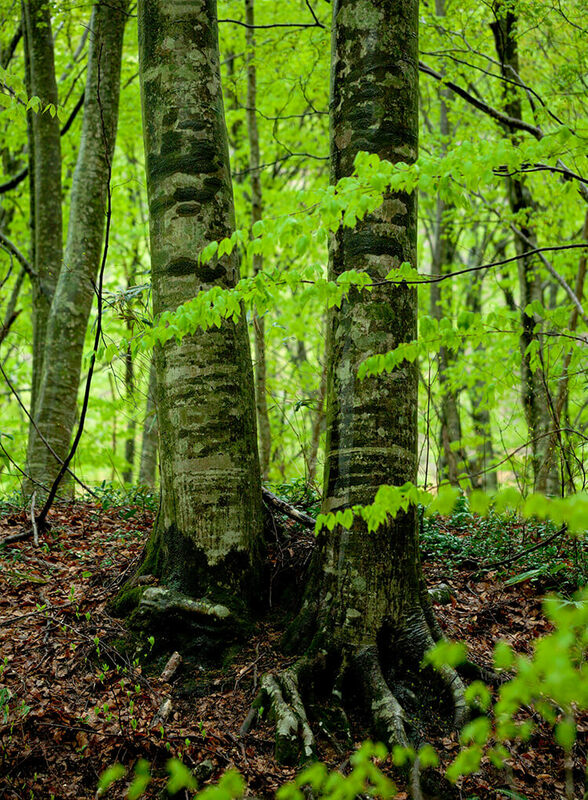 When it rains in the forest, the beech trees receive the rainwater gently in their ridged leaves. The water travels from the leaves to the trunk, and soaks deeply into the thick layer of rich soil. The many layers of decomposing leaves and branches on the forest floor retain a massive amount of water, acting as a kind of natural dam. These waterways of life turn into rivers, nourishing rice fields, and finally run into the sea. 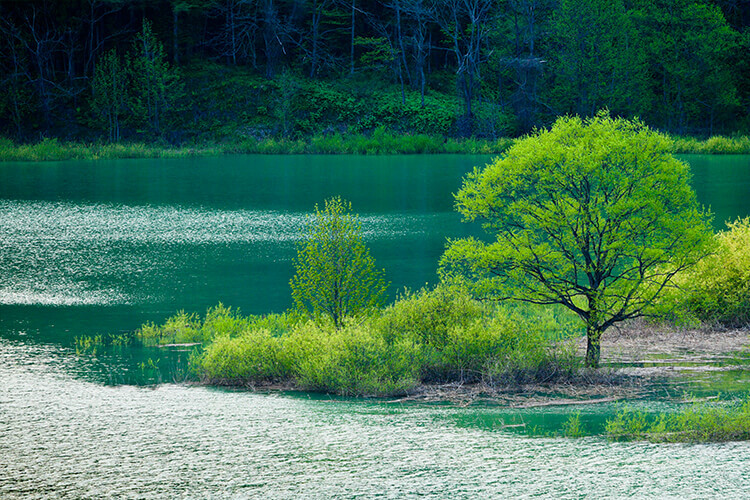 The water, brimming with the forest’s nutrition, next goes on to nourish the creatures of the sea. For 8,000 years, the abundance of the beech forest has repeated the great circle of life. This is the grand narrative which we want to take with us into the future. * Miyazaki Hayao spent 16 years developing the idea behind this film, and took three long years perfecting his masterpiece. It not only blew away all records in Japan for both domestic and foreign films, but also received much attention abroad, becoming a widespread social phenomenon. The film is set in a prehistoric forest, and the story knits together the existence of forest spirits with the lives of humans. The feel of the forest’s spaciousness, the light and shadows, the texture of the tree trunks…every single detail gives the impression of being as real as life, striking the viewer with its particular perspective. ** One sho is about 1.5 kg.